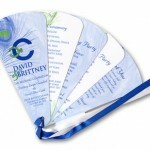 Wedding fans are a great way to keep your guests comfortable during your indoor or outdoor wedding. And they make great keepsakes. 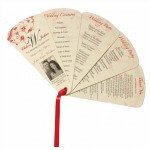 This 6 panel wedding fan is 2 sided to accommodate a dual wedding ceremony. Great for couples of different faiths or for double weddings. 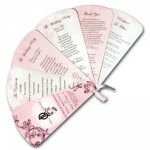 6 panel 1 sided wedding fan. 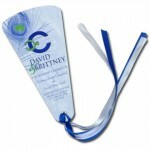 Wedding fan with peacock motif. Match you colors and match your style. 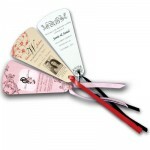 5 panel 1 sided wedding fan. 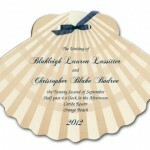 Having a beach wedding? 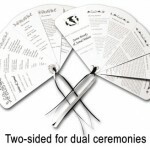 Add dimension to your ceremony with shell shaped wedding fans. Save the Date magnets are great reminders for weddings, anniversary and birthday parties, social and corporate events. Save the Date magnets are a cool way to keep your special day on your guests’ to-do list.